Since 21st Amendment gets nationwide distribution now, I feel like a lot of craft beer snobs are basically done with them. But they were one of my first favourite craft breweries, and it just doesn’t feel like winter to me until I have my first Fireside Chat. 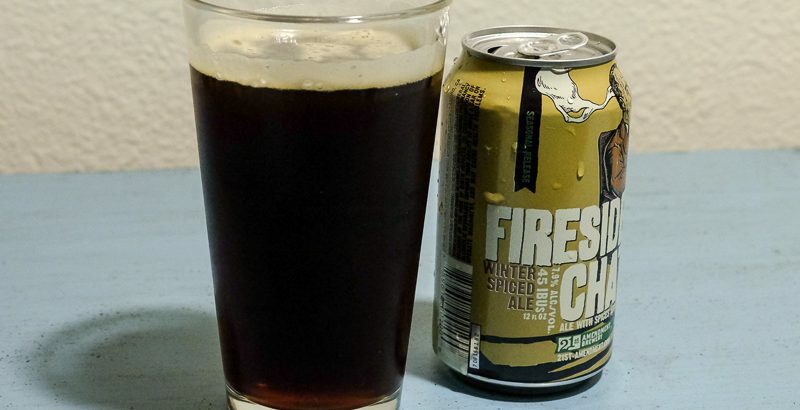 Fireside Chat is a spicy winter ale, perfect for Christmas, but not so Christmas-y that I’m ready to move on once December ends. I’ll happily drink this one all winter long, and I usually buy at least 24 cans each year. Of course, now that we live in California, winter beer is less important than when we were in Chicago. I was really craving winter beer in December, though, if only to remind myself that it really was the Christmas season. I first rated Fireside Chat on Untappd in November 2015, giving it 4.25 stars, but I upgrade it to 4.5 stars the following month, and I’ve kept my rating there each winter since then. I’m not sure when it was first released, but the earliest reference to it that I found on a quick search of the interwebs was in 2010. My most notable Fireside Chat experienced occurred in July 2016. It was a super hot day in Manhattan, and I was in a bar that still had cans of Fireside Chat that they were selling for super cheap. It hadn’t been popular at that spot and the bartender didn’t know anything about it. I resisted the urge to buy out all the cans and drink them on the spot, but it was a nice treat and a memorable experience.